Joey Barton, most recently at Burnley, has been appointed Fleetwood Town's next manager. 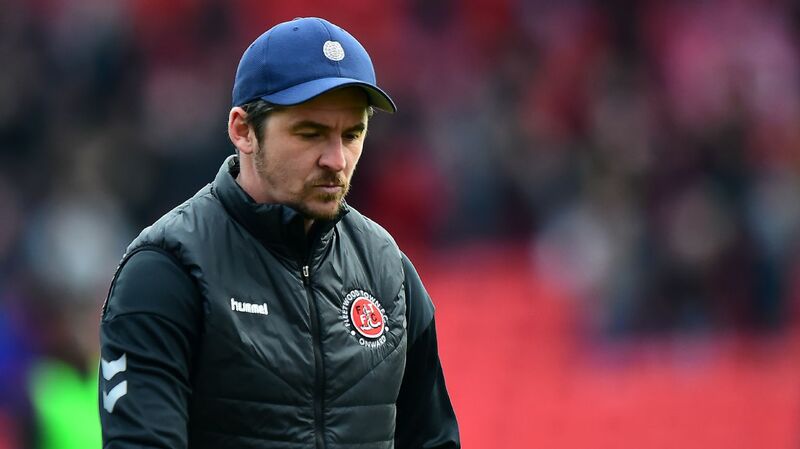 Former Manchester City midfielder Joey Barton has been appointed the next manager at League One side Fleetwood Town, the club have announced. Barton, 35, most recently played for Burnley, who terminated his contract after he was banned by the Football Association in April 2017 for admitting to betting on football matches. Originally banned for 18 months, Barton had the term reduced to 13 months on appeal after the FA agreed the initial term was excessive -- leaving him able to return to football effective June 1. In a statement released by the club, Barton, whose three-year contract begins on June 2, said that his relationship with club chairman Andy Pilley helped convince him that Fleetwood is the right opportunity. "I'm very excited by the challenge and the project at Fleetwood Town," Barton said. "It's a club I've known for a long time and a chairman I already have a very good relationship with. "My first job in management was always going to be a big decision for me and I'm delighted with the opportunity ahead. I'm joining a club with big ambitions." Fleetwood sacked manager Uwe Rosler in February and appointed John Sheridan as caretaker manager through the remainder of the season. Pilley, in the statement, said Barton "not only brings a host of experience and profile, but I also feel he has the potential to become one of the best in the new generation of coaches." "He's someone I've known for a number of years, and I'm convinced he's ready to make the step into management and that he will be a huge success." Barton, a City academy graduate who spent his first five years with the club, briefly trained with Fleetwood ahead of the 2012-13 season, while he was at Queens Park Rangers. His chequered football history includes an assault of City teammate Ousmane Dabo at training in 2007, an arrest and six-month prison sentence for assaulting a man in Liverpool in 2008 and a bust-up with City's Carlos Tevez and Sergio Aguero while playing for QPR in 2012.